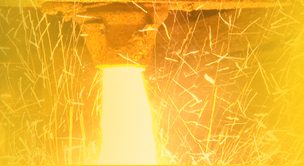 The dialogue between foundries and end-users is critical to optimizing components. A discussion of cast components in automotive applications was a highlight of the Society of Automotive Engineers World Congress held in Detroit last year. This article summarizes the comments made by a panel of casting experts at that Congress. Specific components such as steering wheels, crankshafts and structural components were reviewed. Also included in this panel discussion was the need for utilization of new, improved casting processes that increase reliability and reduce cost. The advantages of new die casting processes, such as semi-solid molding (SSM) were discussed in detail. Photographs of a number of components are featured in the article. 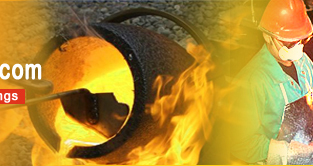 Mechanical properties of permanent mold castings can be further improved by heat treatment. If maximum properties are required, the heat treatment consists of a solution treatment at high temperature followed by a quench and then natural or artificial aging. For small castings in which the cooling rate in the mold is very rapid or for less critical parts, the solution treatment and quench may be eliminated and the fast cooling in the mold relied on to retain in solution the compounds that will produce age hardening. Some common aluminum permanent mold casting alloys, and typical products cast from them, are presented below. Aerospace Castings: We have refined the casting process to eliminate the waste caused by excessive in-process inventory, resulting in a standard process cycle time of 2 days and a quality feedback loop so short that quality problems are solved before they can impact delivery or product cost. We gladly investment cast for the aerospace and medical industries. Metal castings have played a vital role in aircraft from the very dawn of the industry. After all, Orville and Wilbur Wright's first machine-powered airplane featured aluminum-copper block and crankcase castings when their craft lifted off the beaches of North Carolina in 1903. Fatigue failure is the cracking of metal under repeated stressing. For example, bending a paper clip until it breaks is a fatigue failure. Similarly, aircraft structures are exposed to cyclic stresses in flight, such as fuselage pressurization and depressurization. To ensure safety, the military retires an aircraft before it reachesits estimated fatigue limit. Aircraft designers estimate structural fatigue life - the number of cycles and stress levels the structure can withstand prior to failure - through analysis and testing. The military then translatesfatigue life into flight hour limits, based on assumptions about the rate at which fatigue damage will occur. This rate will vary depending on several factors,including the rate at which the plane accrues flight hours, the severity of maneuvers, and the weight of the payload.